Hyperbaric Oxygen Therapy for REAL ENERGY! 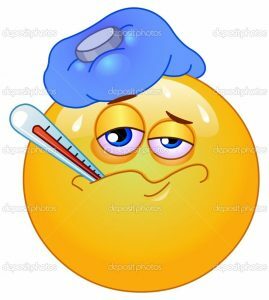 The problem with chronically ill people is they’re living in an Aerobic state. Lactic Acid build up creating HUGE INFLAMMATION. See how much cellular energy affects our health. FEELING ACHY AND JUST PLAIN BLAH??? If you’re a chronically ill person, then your cells stuck out of gear and relying on ‘Anaerobic respiration’ to try and build enough energy to make it through your day. And you have to keep on running on empty because this Aerobic form of energy production is like running on empty. I can’t say it any simpler. It’s not the way we were built to run. Anaerobic cellular respiration inefficient for making energy — it’s so inefficient, that you have get yourself going only 4 ATP energy molecules, while your healthy friends thrive on 38 ATP molecules pumped out by their cells. Healthy people have healthy cells because these cells have enough oxygen to produce what’s known as ‘Aerobic respiration’, or oxygenated energy production. How bad is this Anaerobic form of energy as compared with Aerobic? Well, imagine if you had to run your car off of a mere 4 mpg engine. Meantime the cars that zoom past you run at 38 mpg. You wouldn’t get too far in that car, would you? And you’d spend more time in your parking spot on the road! People living on a rich source of Aerobic energy, literally, create 9 times more energy than you do, and this has you feeling like a wash out every single day. It’s a rough life trying to make it on Anaerobic’s power plunger. What’s more, to make matters even worse for you, think about making bread. Yeast cells use Anaerobic respiration to churn out the bread stuff … and as a result, produce loads of LACTIC ACID. You know, the very same lactic acid that you end up with when you work out too hard. The same lactic acid that gives you aches and pains. However the problem is, when you live every day in an Anaerobic state, your body becomes besieged in pain due to perpetual lactic acid production by strained cells. Lactic acid creates inflammation, and so along with the limited energy that you experience ad-nauseum, you, my friend, also get to go on suffering from unrelenting inflammation. What’s the body missing that keeps a world of chronically ill folks so hooked into a life of Anaerobic energy loss? It’s precious OXYGEN! The truth is, it will take oxygen to bring back real energy. It’s not the genes that make you sick, but the mitochondria that causes disease. Hyperbaric oxygen therapy creates the oxygenated energy that could be your solution. Oxygen IS your life force, and while you lie inside the chamber, it gets pumped right over to the front door of you cells. With the aid of hyperbaric pressure, oxygen is able to bypass restrictions and blockages within your body, directed to the cell membrane. Then, because HBOT also helps make the cell membrane more porous, oxygen and other nutrients readily diffuse into your cells and get down to work at mitochondria level. Aerobic respiration begins. Nutrients, oxygen and water penetrate into your cells. The c ells use these nutrients and oxygen, and then allow the toxic stuff to move out. Why, it literally opens a door for fresh air to come in and let’s the dirt out. Shifting into Aerobic respiration has very profound effects. It will restore your energy and then your health. 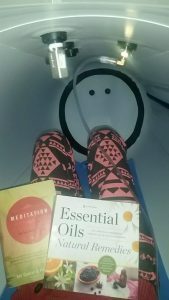 WANT TO EXPLORE THE WORLD OF HOME HYPERBARIC CHAMBERS? PLEASE CLICK HERE.